Delivered in partnership with the Sinai Health System Reitman Centre, the Enhancing Care (EC) Program offers therapeutic skills training to family or other unpaid care partners who are giving care to individuals living with dementia. The program provides practical skill-building and emotional support to help care partners deal with the stress and complexities of caregiving. ASLM now offers a variety of specialized support groups for family and friends of those living with dementia. These groups are offered in several locations on multiple days of the week in order to work with any schedule. Registration is recommended but not required. A support group for those in the early stages of dementia AND their care partner. 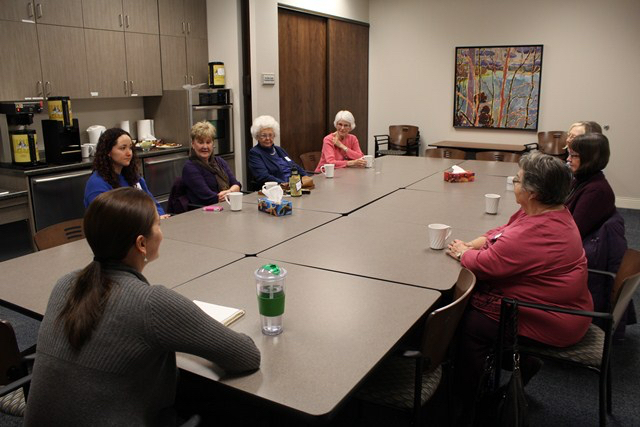 The Care~2 support group allows the homebound care partner to attend a support group facilitated by an ASLM Registered Social Worker, while their loved one with dementia can attend a concurrently run social recreation program. Attendees must be registered ASLM clients. To see a list of Support Groups for people living with dementia visit our Living with Dementia page.